We all have things we’d like to do–one day–but work, family, school, money, and responsibilities get in the way. This invaluable guide to fun, fantastic, and life-affirming activities features an eclectic range of ideas such as self-improvement, sports-related endeavors, natural wonders, cultural experiences, culinary delights, and more. 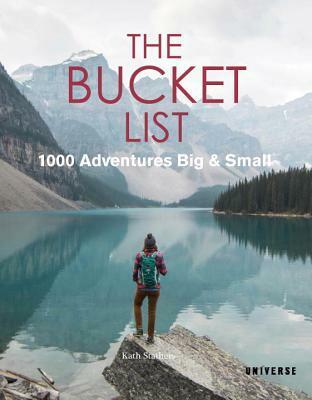 From glassblowing in the Czech Republic to swimming with dolphins in New Zealand, The Bucket List is the perfect gift for the passionate traveler–an around-the-world, continent-by-continent listing of beaches, museums, monuments, islands, inns, restaurants, mountains, and more. This book was beautiful and such an amazing read. Traveling in general is something I’m passionate about, so having a whole book dedicated to all the adventures you can take around the world was perfect for me. There are so many different adventures I want to take right now, but I’m most drawn to those in Europe and in Thailand and the Philippines. I love the history and culture of Europe, and am so excited to go there. I plan on studying abroad, so that will help to cross some of these amazing trips off my bucket list. I also love the idea of tropical travel through Thailand and the Philippines. The beautiful clear waters and cheap accommodations are calling my name! I recommend this book to anyone who loves traveling and looking at beautiful photography!